fill your heart with ecstasy and pump your brain with new info on latest Technologies. 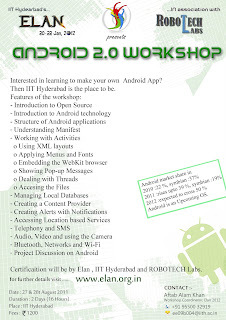 ELAN 2012 is being held on 20-22nd January 2012. ELAN has six main domains-Techy,Culti,Litr,Infi, Biggies and Extra mural lectures and workshops. 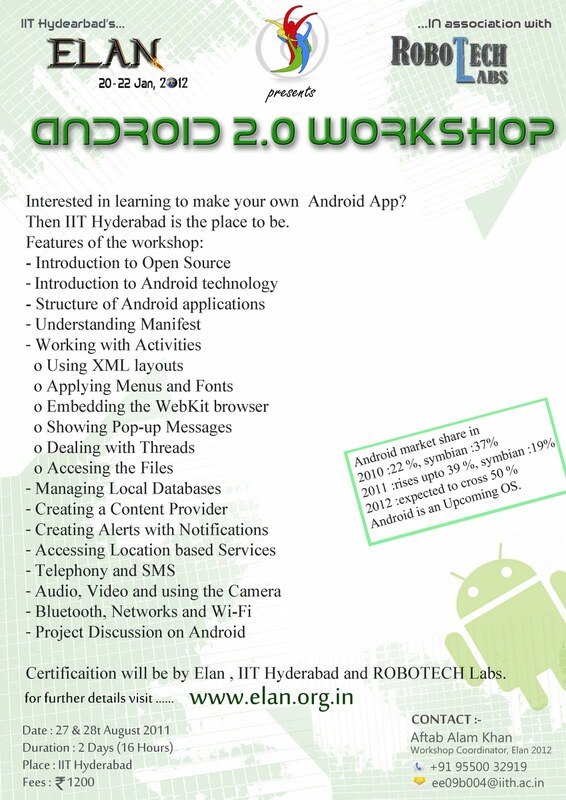 Certification :Certification from Elan 2012, IIT Hyderabad and Robotech Labs. The Lielog - everybody lies!